Maryland State Police are investigating whether Greensboro Police Officer Thomas Webster IV followed departmental policies last September when he was involved in a suspect pursuit that resulted in the death of 19-year-old Anton Black. Greensboro Town Attorney Christopher Jennings confirmed the investigation Wednesday. “MSP was asked to complete the internal investigation at the same time they were asked to do the criminal investigation, but it could not be started until the criminal investigation was completed,” Greensboro Town Manager Jeannette Delude said in an email. Black, an African-American teen, died of cardiac arrest after being pursued by three white police officers and a white civilian, who were chasing him because he had been seen dragging a 12-year-old boy down the street. The criminal investigation into Black’s death concluded in late January after Caroline County State’s Attorney Joseph Riley (R) determined there was insufficient evidence to send the case to a grand jury. The investigation involved Webster, the two other police officers who had pursued Black — Ridgely Chief of Police Gary Manos and Centreville Police Cpt. Dennis Lannon — and a civilian who assisted police in apprehending Black. Manos and Lannon were off duty at the time. According to Greensboro Police policy guidelines, officer-involved deaths can trigger several separate reviews. The investigations may include a criminal probe of what the suspect did, a criminal investigation of what an officer did, an administrative investigation into policy compliance by officers involved in the incident, and a civil investigation to determine potential liability. State Police spokeswoman Elena Russo declined to comment on whether part of this investigation would center around Webster’s response to a potentially mentally ill suspect. Black, a former North Caroline High School football and track star, had been diagnosed with bipolar disorder, according to the state medical examiner’s office, which conducted his autopsy. Greensboro Police policy guidelines suggest officers take a “de-escalating approach” when they encounter a person with a possible mental illness. Policy 415 Crisis Invention Incidents suggests an officer “promptly” assess the situation “independent of reported information and make a preliminary determination regarding whether a mental health crisis may be a factor” in a suspect’s suspicious behavior. When Webster responded to the 911 call claiming an older teen was forcefully dragging a younger boy down the road, one of the first things Webster was told by the boy was that Black was schizophrenic, according to records provided by the Caroline County State’s Attorney’s Office. The records show Webster spotted the boys on Route 313, a rural two-lane road around the corner from the Choptank River Bridge. He pulled over his patrol car and stopped the boys across the street from a used car sales lot, less than half a mile from Black’s house. An audio tape of Webster’s call with the 911 dispatcher indicates Webster thought the two boys could be brothers. In his official statement, Webster said he witnessed Black roughly push the boy down on the hood of his patrol car after he asked Black to release him. Video footage from Webster’s body camera shows Webster asking the boys if they are brothers. While Black says they are, the boy vehemently denies it. Seconds later Webster instructs Black to put his hands behind his back. With bulging eyes and an expressionless face, Black looks at Webster, tells him he loves him and slowly jogs off. Webster then relays to the 911 center that Black has fled on foot, stating he is a “schizophrenic.” Approximately 20 seconds later, he tells the 911 center he is in a foot pursuit of Black, whom, he says, “tried to abduct” the child. Introduce themselves and attempt to obtain the person’s name. Be patient, polite, calm, courteous and avoid overreacting. Speak and move slowly and in a non-threatening manner. Use stances or tactics that can be interpreted as aggressive. Allow others to interrupt or engage the person. Civilians should also not interact with the alleged suspect, the guidelines state. “Our laws are written to tell you what you can’t do, not what you may do,” Riley, the state’s attorney, said. 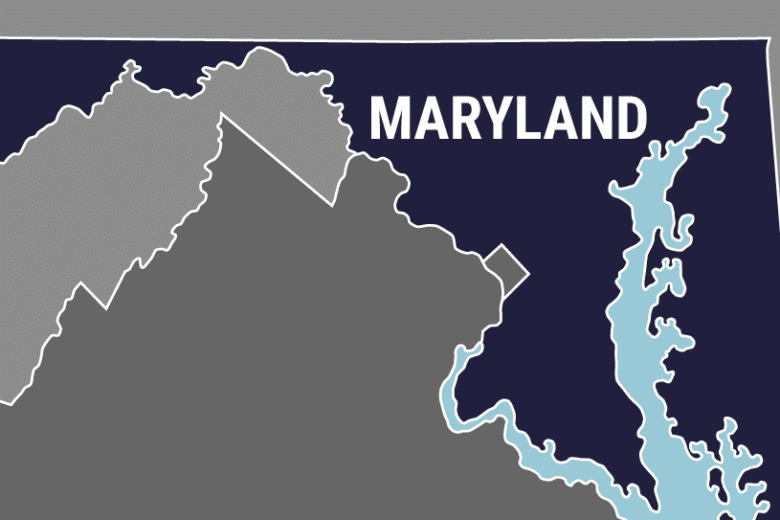 Testifying in Annapolis Tuesday in favor of “Anton’s Law,” legislation that would provide more transparency in police investigations, Black’s sister, La Toya Holley, said her brother must have been terrified. Holley testified that Black, along with the rest of the town of Greensboro, knew that Webster had lost his job as a police officer in Dover, Del., for assaulting an African-American man who had been in his custody. Holley said Black must have been scared when Webster pulled him over and then two other white men in casual clothes started chasing him. Black and the 12-year-old boy at the center of the alleged abduction are related by marriage and have known each other for years. The identity of the youth is being withheld because of his age. In a witness statement following Black’s death, the boy said Black was kind and respectful, but acted differently on the day of the incident. On the day of the incident, the boy said Black was talking to himself incoherently, twitching and making strange noises as the two headed towards the Choptank River Bridge on their way home. The boy also said Black was calling him his brother’s name. According to the statement, two residents working on a house in town had informed the boy’s father minutes earlier that Black had acted aggressively towards them. They also said Black had been smoking a marijuana “blunt.” Black’s autopsy report, however, found no evidence of drug use. Nearing the bridge on Sunset Avenue, Black grabbed the boy from behind, according to his statement. The boy said Black would not let him go. A woman who called 911 reported seeing Black holding the boy in a headlock. The caller said she asked the boy if he wanted her to call the police, and he said yes. He said at that point Black was calling him a girl’s name. Following the pursuit by Webster and the other men, Black ended up at his house hiding in a car owned by his father that was parked in the front yard. Webster smashed out a window with a baton and attempted to use a taser on Black. In a timeline transcript from the state police, Manos, one of the officers on the scene, said, “Watch his hands” a moment before Webster deployed the taser. In an interview in January, Manos said he saw Black reaching under the seat and he was afraid he was going for a gun. A gun was not recovered from the vehicle. Through the Greensboro town attorney, Webster declined to comment due to the ongoing administrative investigation. None of the other police agencies whose officers were involved in the pursuit of Black are undergoing an administrative review. Manos, the Ridgely police chief who was involved in Black’s pursuit and the ensuing struggle, determined that his actions did not warrant any type of investigation. Interviewed in January, Centreville Chief of Police Kenneth Rhodes said Lannon played a “marginal” role in the encounter. Rhodes also said department policy does not require a separate investigation when an officer is off-duty and in a different jurisdiction.